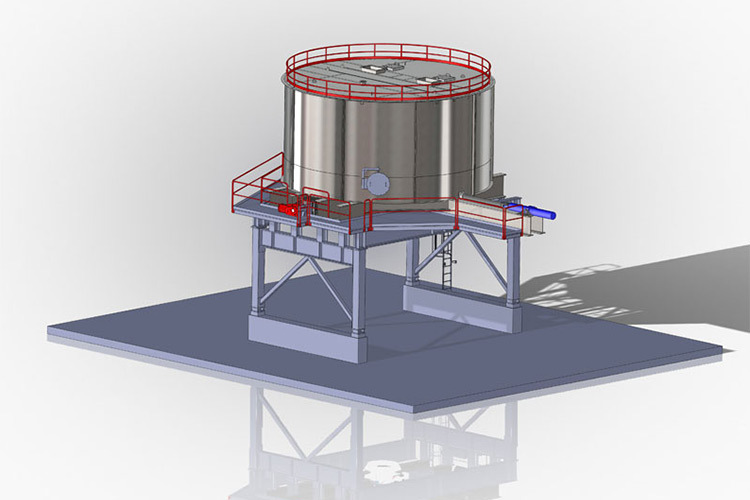 Saxwerk has signed an order for delivery of 1 complete sludge silo with discharge system for Eskilstuna water treatment plant in Sweden. The delivery, assembling and start up will take place in Juni 2015. The silo is equipped with Saxwerk’s new ”splash protection device” moving bellow system. The sludge is from a water treatment plant.